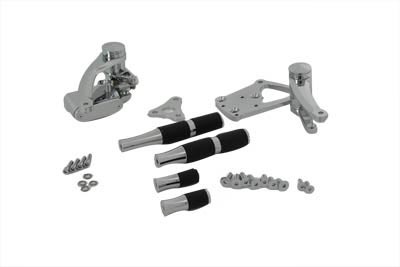 3" Chrome billet extended forward control kit includes right side adapter block to use OEM kickstand with bracket. OEM shift rod may be used. May require brake line replacement depending on the model. **NOTE: When installing extended forward controls on a motorcycle, make sure all clearances are checked.